For the past 2 months, I reunited with people who are close to me – family, friends, relatives and girlfriend. Last Memorial Day Weekend, however, was a meeting with a wordpress blogger, Russel Ray. It was supposed to be the same weekend that I was going to join Lesley Carter to one of her adventures. To say the least, I mistook San Ysidro from Santa Ynez which is 3 hours and more away from each other. For that I apologize to her. It would have been a chance for some adrenaline rush and an encounter with a blogger I highly admire. I’m just glad the weight of the disappointment was balanced by successfully linking up with Russel Ray in San Diego. When Russel Ray generously offered me to play a docent for a day, I happily thumbed up for it. It wasn’t even the fact that someone will provide me the convenience of his guidance of the whereabouts in San Diego. It was the company I was seeking. For that I thank him so much. We toured the USS Midway, the first to be commissioned after World War II. 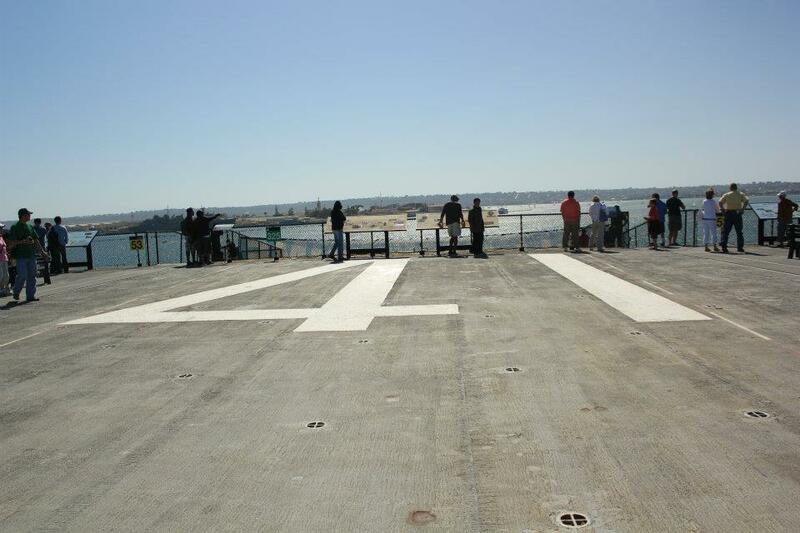 We walked most of the flight deck. 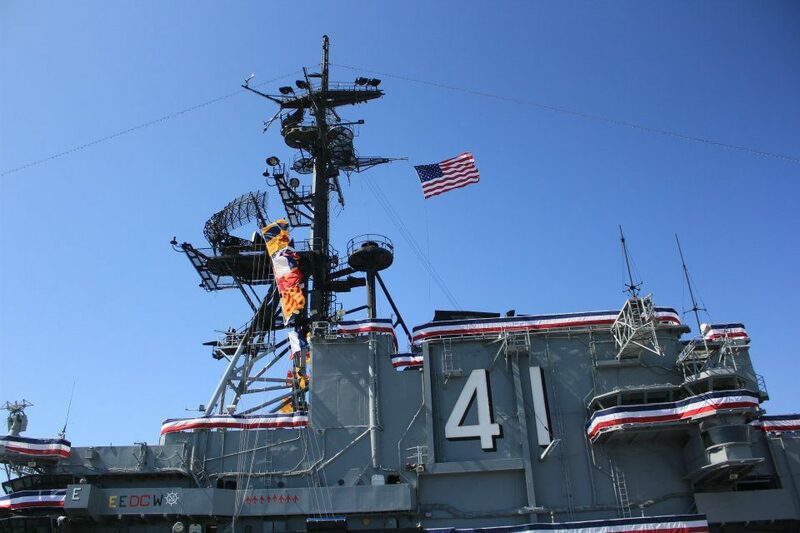 Inside are various tables of military-related sectors, displays and exhibits and Navy and Air Force Motion Simulators for those interests and fun for the family. 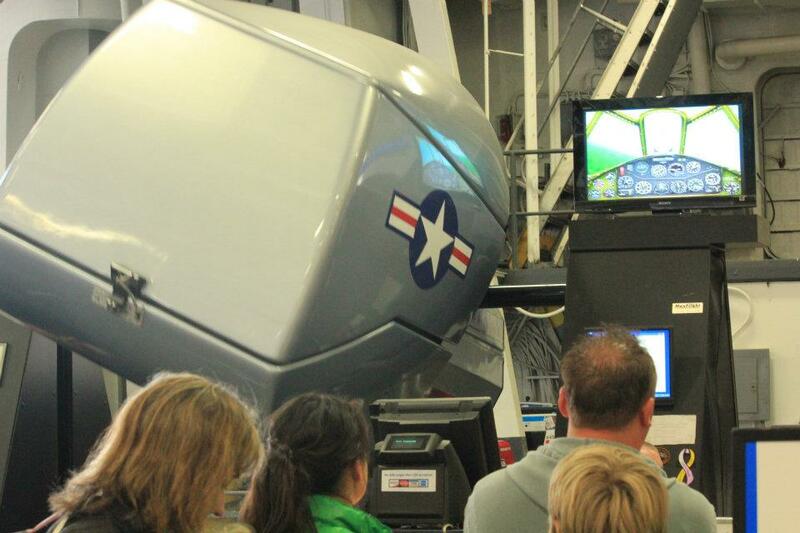 Families and groups also get a kick out of wearing helmets and flight suits and entering aircrafts in the flightdeck. Me and Russel had our own kick clicking away taking pictures in and around the ship especially of the aircrafts. A favorite subject was The Californian. 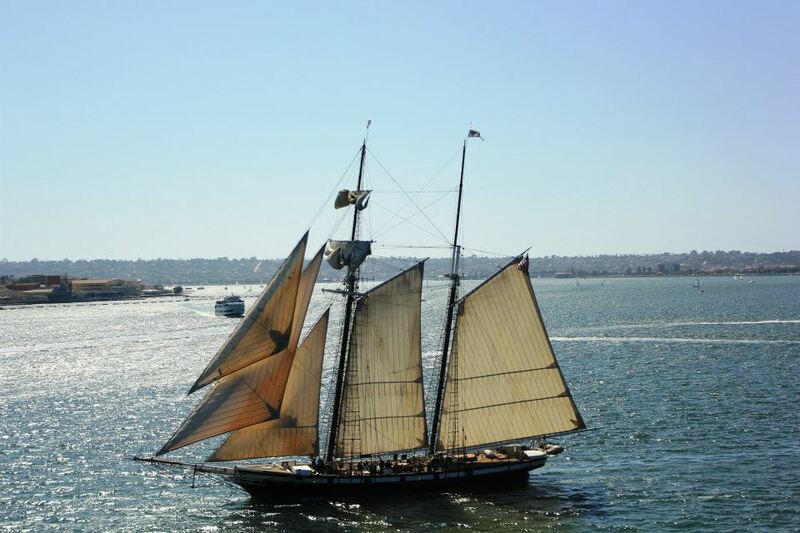 Us in Ventura only get to see tall ships once a year. All high and glamorous, she really is a star especially with its antique look. It was only an hour away before the ship blows its horn for the closing time. With the line for the tour of the entire ship still all the way to the end, we had to decide whether to proceed or not. I turned my head to Russel, and he acted like a Sailor who’s always ready to go. Luckily, we were able to make it to the last couple of tours. We toured its history climbing through confined ladders (nautical term for stairs) and passing through narrow P-ways (hallways). 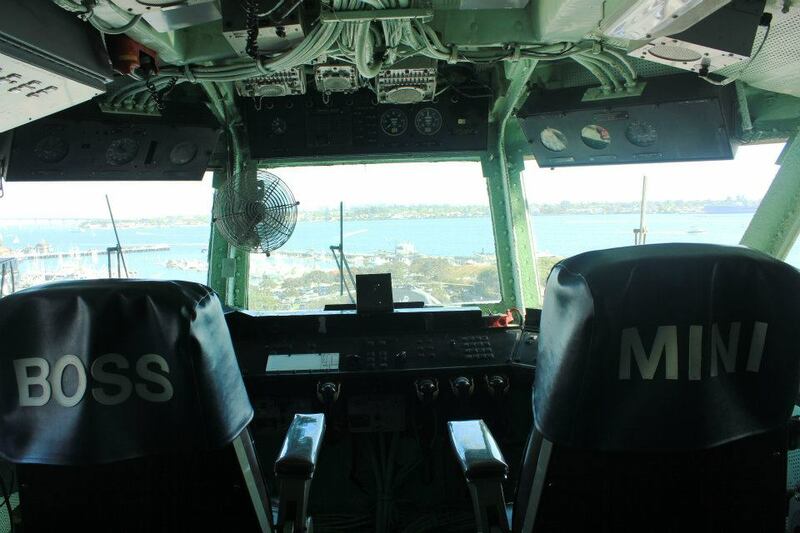 My favorite was the Bridge where I get to sit on the CO’s chair (commander, for those unacquainted). 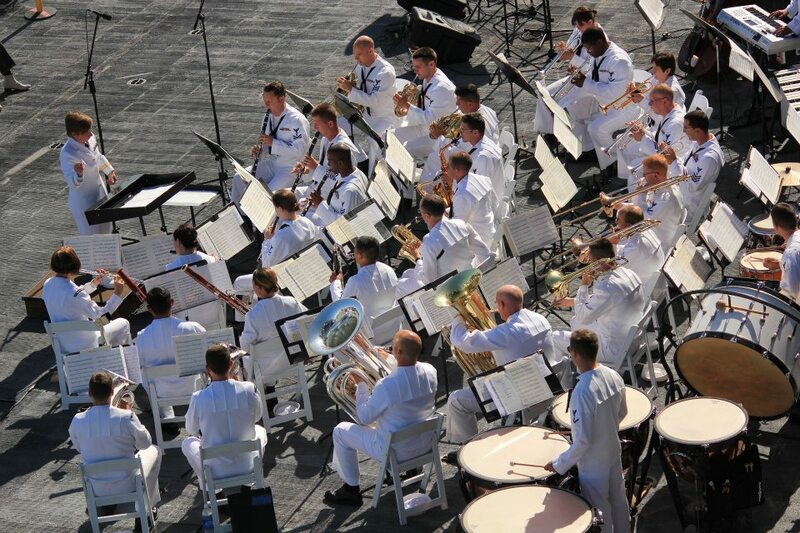 To the port (left) of the ship, a navy band was playing while we tour. I mean what better way to spend Memorial Day Weekend than to visit a military-appreciating city that is San Diego. USS Midway is also docked comfortably with cruise ship terminals, by the waterfront with tons and tons of water activities and transportation going on, overlooking San Diego cityscape and the Coronado Bridge. I’m so glad I get to walk the tour with a San Diego local, and not just all alone by myself again. Russel Ray is knowledgeable of the in’s and out’s of San Diego answering all my inquiries. I can’t thank him enough. This article is an absolute great read. Magdalene‘s images are all military magazine worthy. (It might actually be. I didn’t ask.) It talks about the VIP treatment in benefit of the high importance of The Dogs of War. Life By Magdalene: Seeing Rainbows Everywhere is a geat photography and article-writing blog. If you want to go places with me, just hit me up and we’ll cook something up. I can always use some company. Bummer about Lesley. What was your adventure going to be? I’ve been following her blog in amazement at her accomplishments. 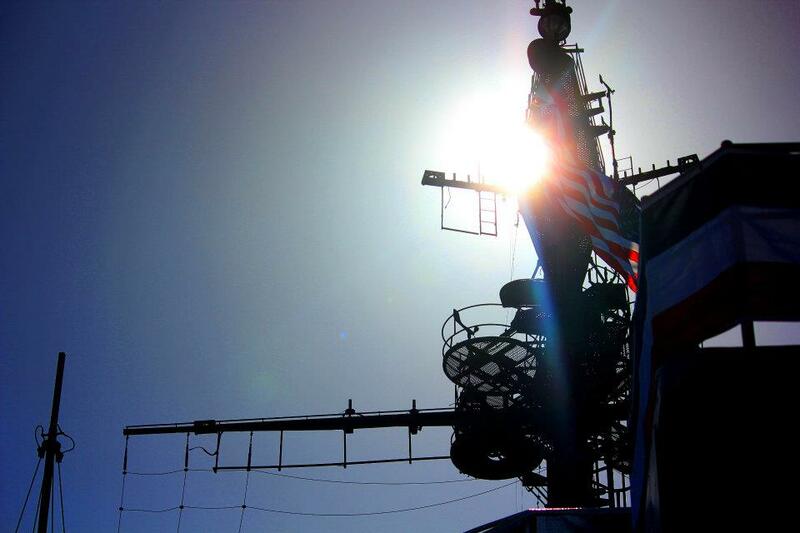 Looks like you had a great visit on the Midway ~ great images. It really was a bummer. She asked her visitor to go join her ride a glider. Looks like a great tour. I’d love to take a tour of an aircraft carrier. I have been lucky enough to be a guest at a dinner party on the NE Brasil when she visited London a few years ago courtesy of my Wife’s employment. I have visited our resident Cruiser, HMS Belfast, on several occasions. I’ve been on military ships as wel but not inside or as a tour. How wonderful! And lovely images as usual. I would love to do a tour like that someday. US warships do dock at Chennai port on occasion, but admission is restricted. Just use your charm. Tell them how great of a travel blogger you are. Maybe then, you’ll convince them to get in. I know I would. Your blog is an A-lister. 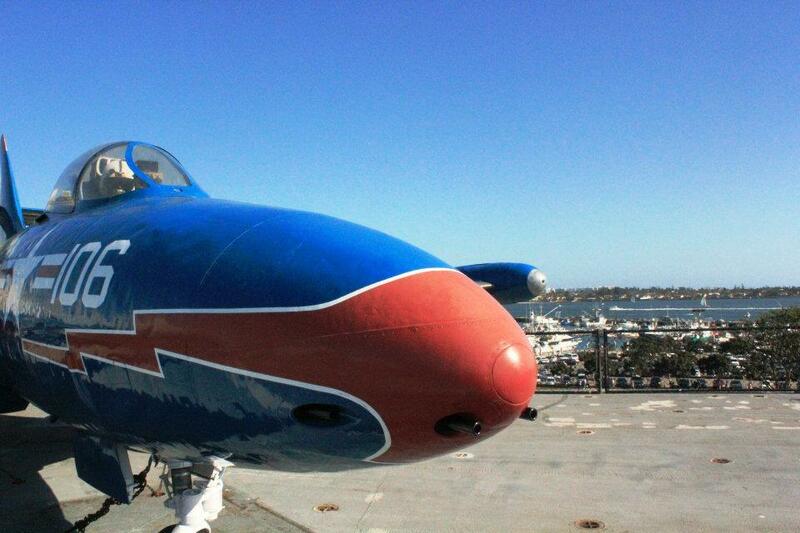 I felt like I was frozen for a while, watching the stunning images of USS Midway. Just amazing. I hope to bring my son to something like this one day. Thanks for sharing these and for honoring your fellow bloggers. I agree with your choices. They are all amazingly talented. That’s the great part, actually. It’s a tour for military interested folks and for family fun. 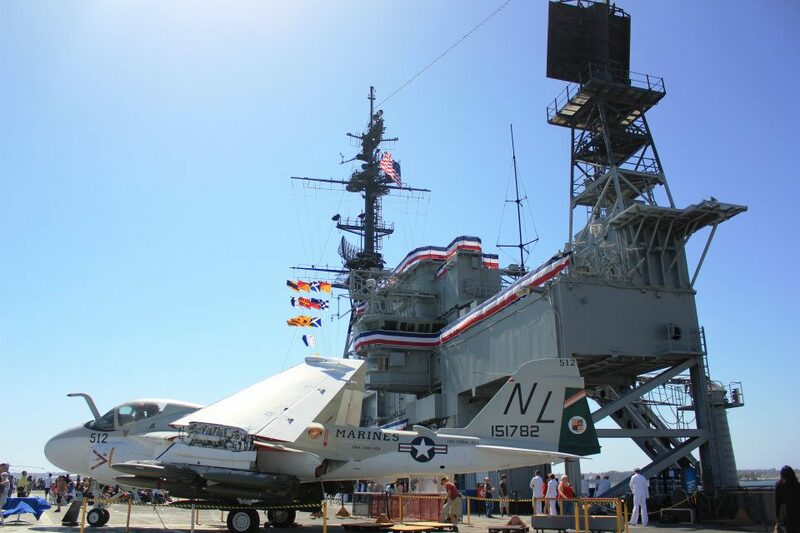 We didn’t take the time to tour the USS Midway while in San Diego but after reading your post and seeing your photos, we will have to put that on the list for later this year. Thanks! Well, there’s more to the area anyways. So you won’t have trouble getting run out of places to sight-see. What a great blog post! 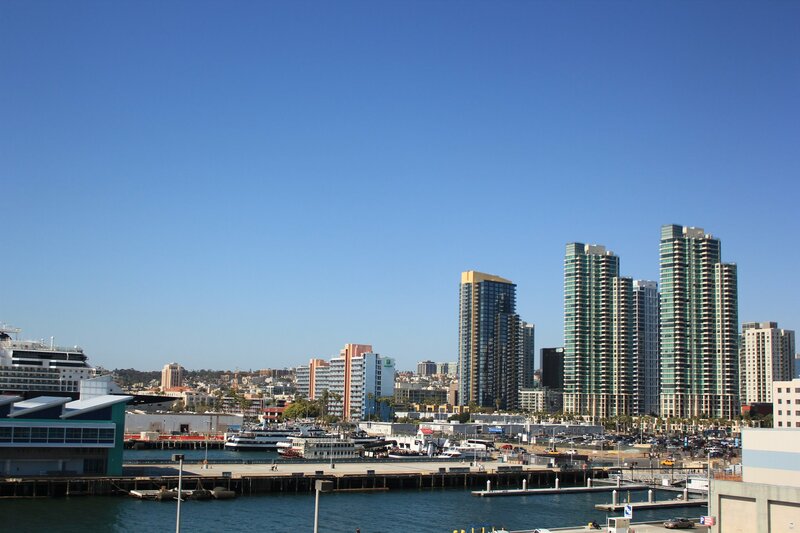 There’s more to do in San Diego, so next time you get down here, well, give me a call again! Won’t be soon. Got so much in my itinerary. But will sure explore more of Balboa Park.